For obvious reasons our gardening plans this season were thwarted. But, we are super fortunate to live close to a great farmers market. So, we’ve been taking advantage of the people who have been able to farm and garden this year, providing us with access to delicious, local produce. In previous years, we made the market a regular part of our food buying, going once a week. This year, again for obvious reasons, we’ve only been able to go two or three times. Today was one of those times, and the timing couldn’t have been more perfect. 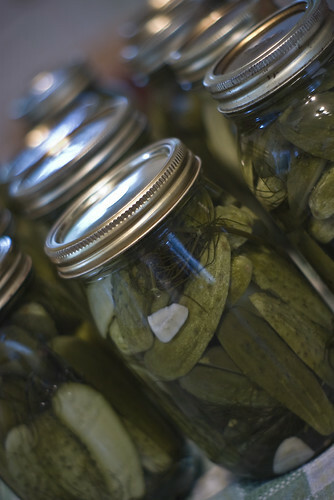 For, you see, we had pickles on our minds, and there were cukes a plenty, dill and garlic, too. We made a simple, but fantastic recipe last year, but ran out of them about half-way through. This year we hope to not make the same mistake. Mmmm. Those look very tasty! 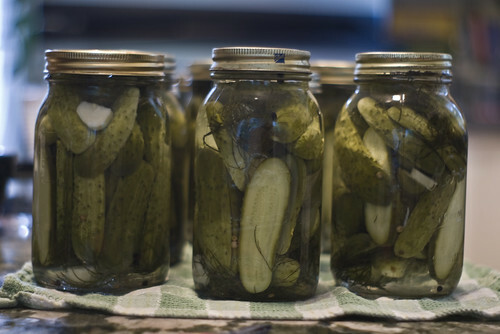 Those pickles look absolutely delicious! You given me an incentive.